If you've spent any time looking through — either lurking or participating — the many New Zealand music Facebook resources, chances are you've come across the unique "Unofficial" Flying Nun Vault. Several times a day the archive posts a Flying Nun related picture, poster or video, many of which are not just unique but often thrilling or heartstopping. Early gigs, lost videos, amazing newspaper cuttings and rare audio are part of the weekly menu uploaded by the archive. But, for all that and the several thousand followers the page has, only a few know who's behind it. 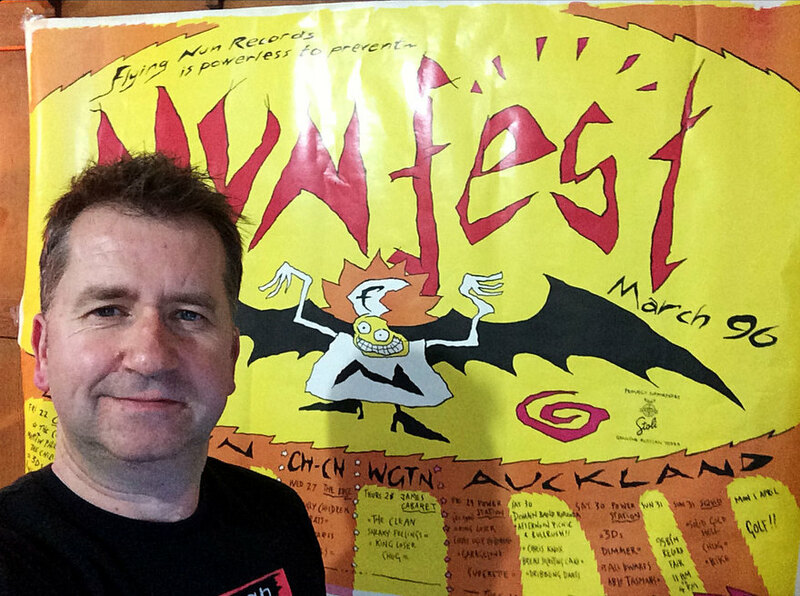 Meet Andy Ellis, a three decade fan and (in his words) obsessive collector of everything Flying Nun. 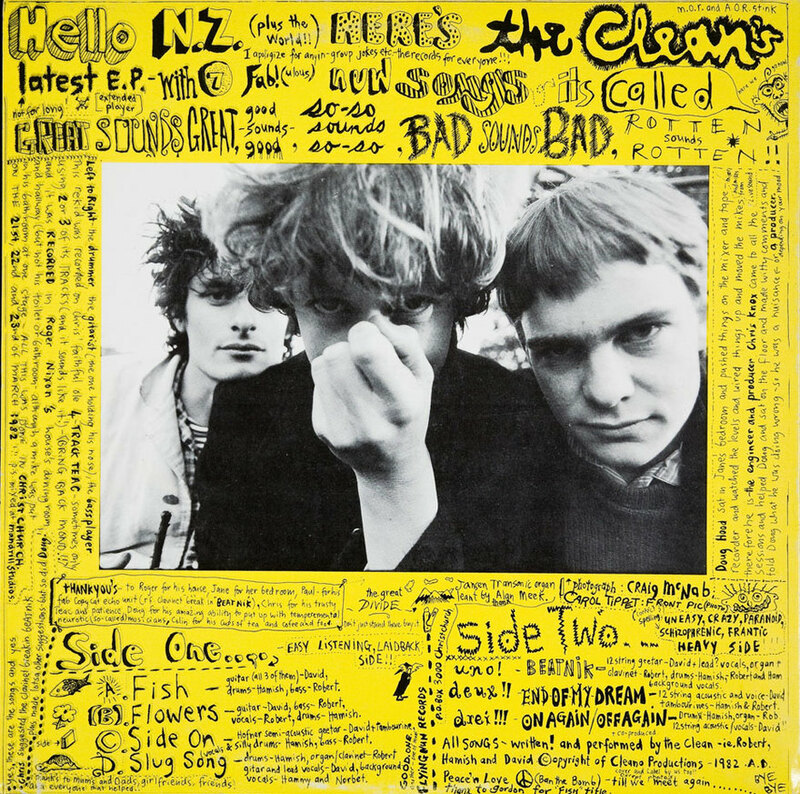 Dunedin based (and a professional recorded media preservation expert), Andy Ellis owns and curates the biggest collection of Flying Nun images, posters, audio, video, ephemera and anything else in the world, a collection which he willingly shares as he digitises. We asked Andy to go through his collection and choose 10 items that matter to him, or that he thinks sum up what he does so well. Some of the thousands of audio cassette tapes that require digitising. Many of these shows were recorded by myself, along with others supplied by fans over the years. Many gigs were special, it was always magical to get that great quality recording! The Clarendon was a dark and claustrophobic venue located on the first floor at the corner of Taranaki Street and Courtenay Place in Wellington. During the 1987-1990 period many Flying Nun bands would play the Fri/Sat stopover shows before heading north or south. This venue was where I first began recording bands as an 18-year-old. It's a place that holds fond memories. Another venue in Wellington that hosted larger audiences was the Union Hall at Victoria University. Set on the hill looking over the lights of the city, it was a great a venue with a booming PA. 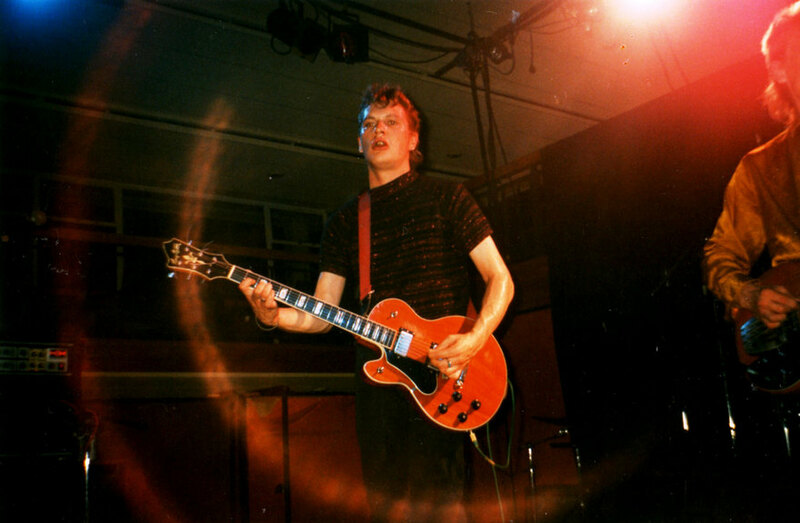 This photo is of Shayne Carter performing with Straitjacket Fits in 1988. 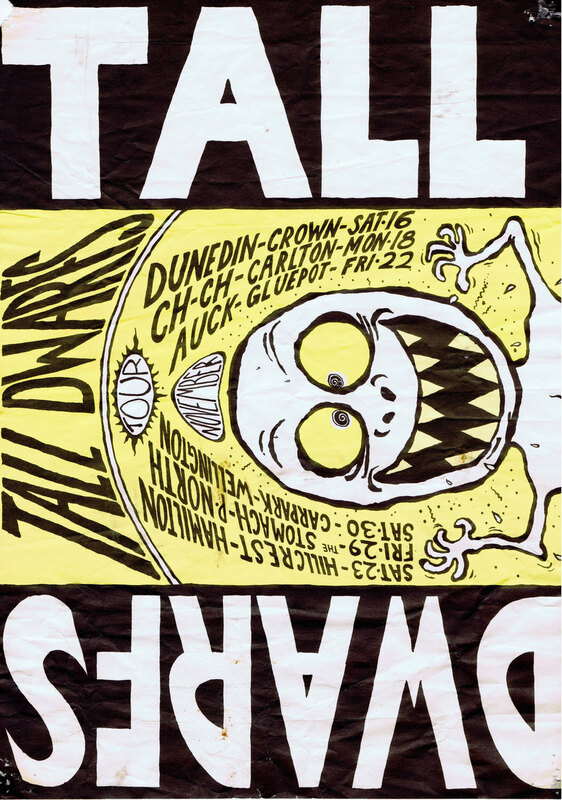 A gig with the Tall Dwarfs at the Carpark in Wellington in November 1991. Another venue where many Flying Nun bands played in the early 1990s. This show was particularly memorable as the duo took requests from the crowd for the last half hour of the show. There were a few Enemy and Toy Love songs played amongst the chaos. 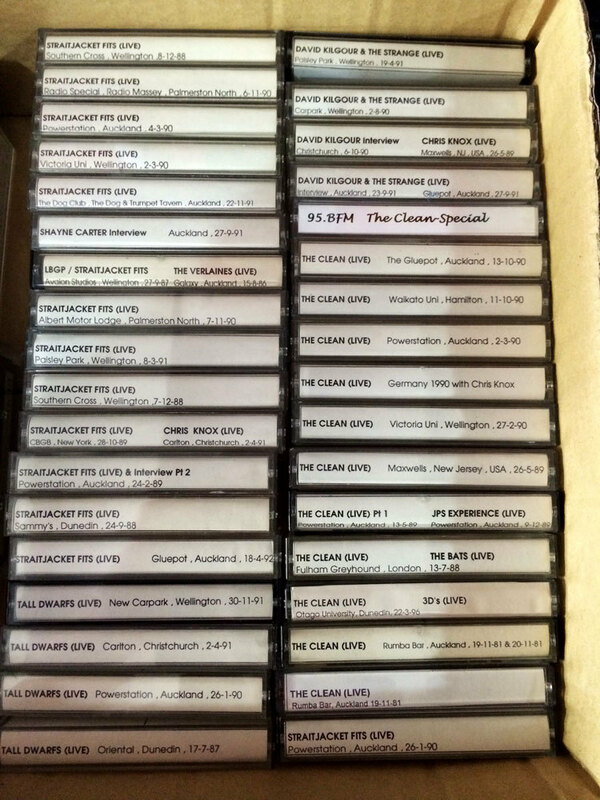 A recording of the show exists somewhere in the tape collection. 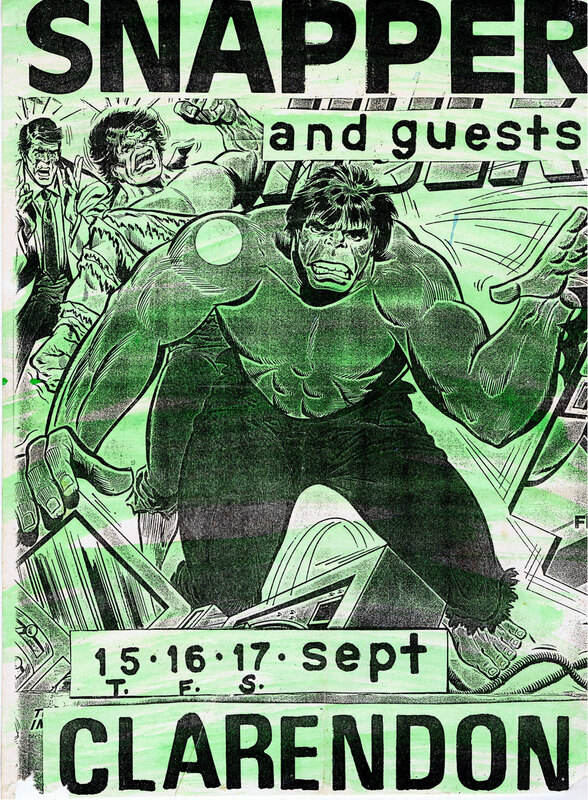 Poster for the 1991 gig previously mentioned. 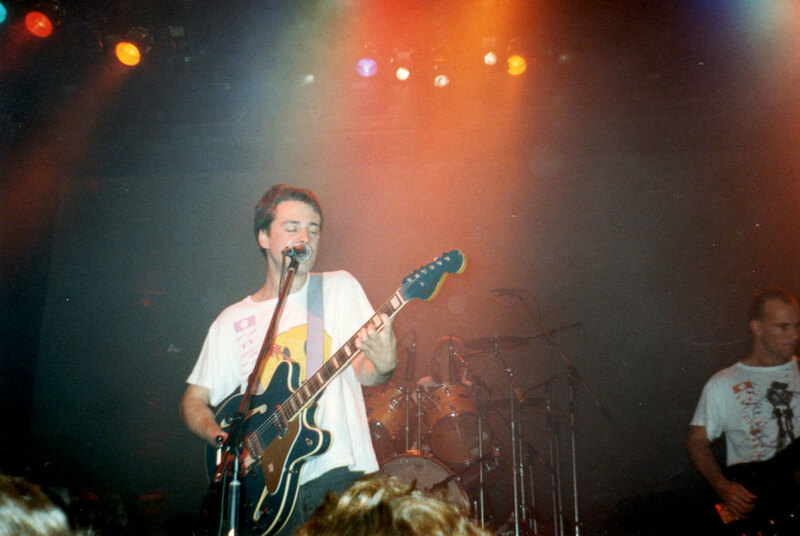 I shot some nice photos of The Chills in 1988 at the Avalon TV Studios in Lower Hutt. One of my favourite line-ups, five songs appeared on Radio With Pictures on television a month or so later. 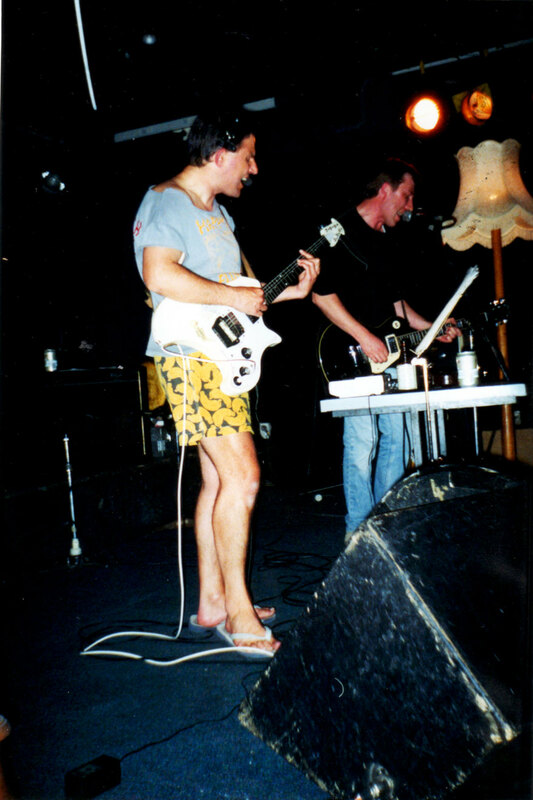 The Chills playing at the new Carpark in Wellington in June 1990, a special gig as it was part of the Submarine Bells tour. I recall a lot of great media press from overseas before they played these shows. Understandably, they were sold out shows. One of the first band T-shirts I bought back in 1981. I wore it just about everywhere until it became full of holes. It was such a neat design I cut off the front and kept it, instead of dumping it completely. 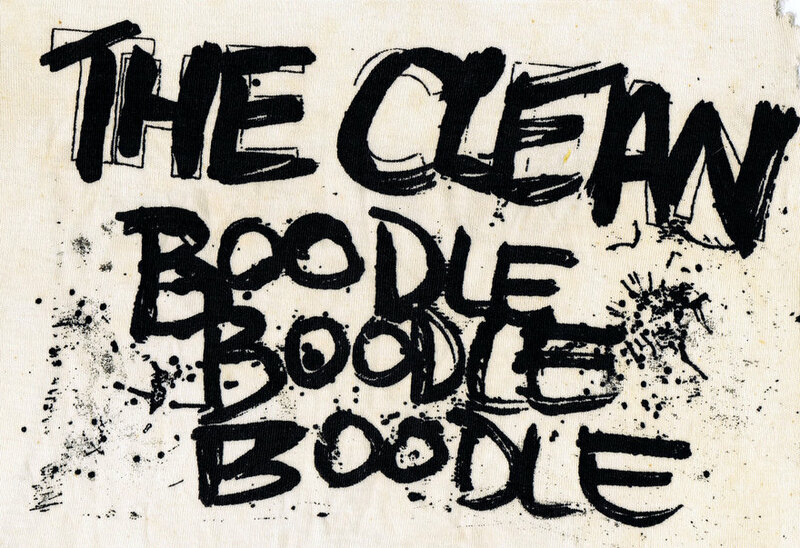 The Clean’s Great Sounds Great EP from 1982. I used to listen to Wayne Mowat’s Top 10 songs of the week every Wednesday night on the radio. One night this wonderful song called 'Beatnik' came in at No.4. Such infectious keyboards and melodies, I loved it. This was the start of my Flying Nun music journey, very special. 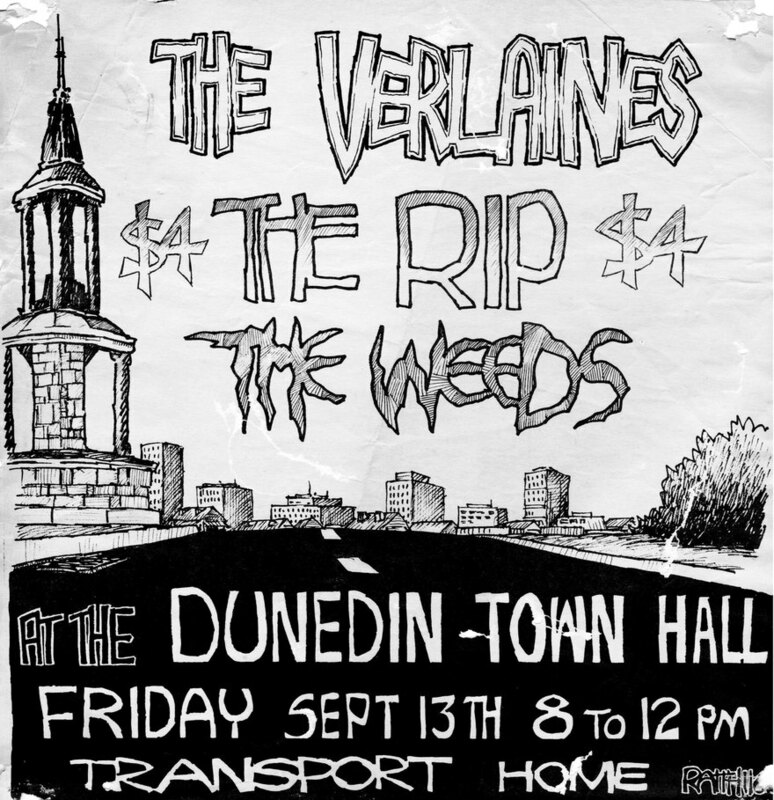 A gig organised by a good friend of mine Craig Roberston in conjunction with the Dunedin Junior Council in 1985. 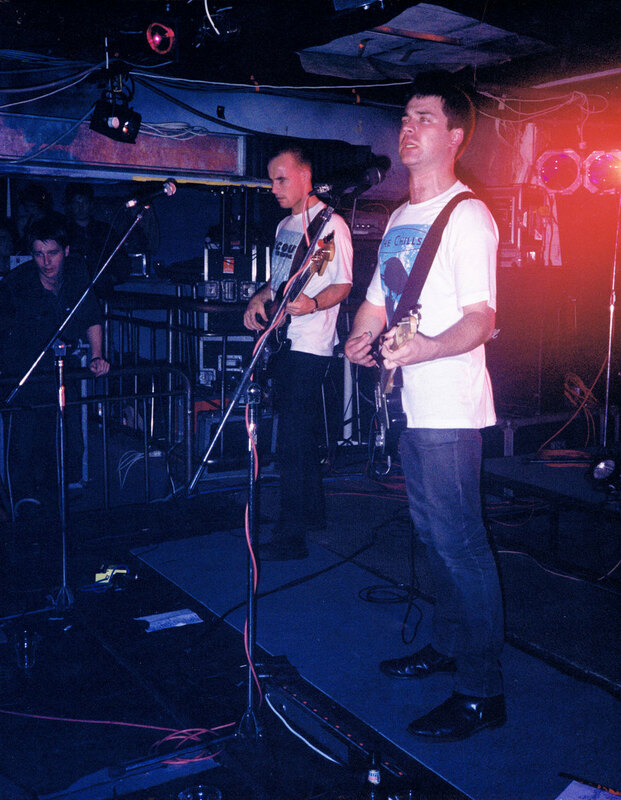 It was a chance for young Dunedin people to see bands that mainly played in bars. It was a decent turnout from memory.